As the collapse in Venezuela continues to accelerate, I can only come to one clear conclusion: The U.S. cannot do anything of consequence without making the situation there worse. And current sitting president Nicolas Maduro cut relations with Washington, giving U.S. diplomatic personnel 72 hours to leave the country. The result? Rioting and deaths in the streets are now appearing throughout the country. Now, Maduro has had a long-standing feud with the U.S.
His winning of a highly suspect reelection followed by an attempt to replace the legislature with a body acceding to his will brought threats of American reprisals. Meanwhile, as I have discussed here in Oil & Energy Investor for more than a year, as the Venezuelan economy imploded, civil unrest intensified. The unknown factor at this juncture is which way the army will move. It has supported Maduro in the past, but there has been a noticeable rift among some of the officer corps. This is a huge wildcard given the traditional position the military holds in both Venezuela and the region when it comes to settling political unrest. The crisis is rapidly expanding. This morning, Germany came out in favor of Guaido; Cuba sided (as expected) with Maduro; Spain is holding an emergency ad hoc meeting at the fringe of the annual economic summit in Davos, Switzerland; and Russia officially warned the U.S. against intervening militarily. Now, using American boots on the ground has been an option publicly floated in DC, but the most often heard response has been an intensification of sanctions against Venezuelan oil exports. Which would send a shock wave through the global crude market. That’s because it would be a death knell to Venezuela and lead to an immediate tightening of available supply internationally. The country sits on the world’s largest oil reserves, greater than either Saudi Arabia or the U.S. shale largess. Until a bit over a year ago, it had been the second largest producer in OPEC. But now, it is even difficult to estimate accurately how much oil is still being pumped. The vast bulk of Venezuelan reserves are in the Orinoco River belt. This is heavy oil, expensive to extract and process. Not only is that a drain on a country having acute financial problems (national oil company PDVSA gave up trying to find working capital to maintain its fields a while ago), further oil exploitation requires something else. To lift and transport its oil, Venezuela must mix it with imported lighter grades. That oil is imported from the United States. Tiny $2 million startup poised for 59,850% revenue-surge! For at least the last year, Caracas has been in default on both its sovereign and PDVSA debt traded internationally. These have been bound at the hip after the Maduro government expropriated the company paper to support national bonds and then worsened the situation by replacing normal fiscal support with newly created cryptocurrency. That the Venezuelan “bitcoin” (known as the “Petro”) was supposedly financed by the same (declining) PDVSA oil sales proceeds that were supposed to be supporting the debt paper only increased the problem. First, any government that survives will lose further control over its own domestic oil industry. In a frantic attempt to keep PDVSA from outright implosion, its operations have increasingly come under a dependence on Russian and Chinese money. These sources, in turn, are collateralized by physical assets. Not all of these are located in country. PDVSA still controls CITGO. CITGO still has refinery and retail outlets in the U.S., and a PDVSA collapse would turn most of CITGO inside the U.S. to the principal owner of PDVSA debt – Russian state oil major Rosneft. Second, PDVSA has been unable to pay for storage of exported oil currently sitting at terminals in several Caribbean locations. The company has also lost its holding positions in most of the terminals. Effectively, this means oil that has already moved out is falling out of PDVSA control…and the expected revenue flow along with it. U.S. military intervention is a rash step that will propel a much larger region into turmoil. 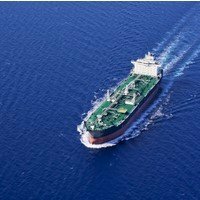 An intensification of sanctions against Venezuelan oil (either against its exports or the essential import of American light crude) will destabilize the global oil market. From a high of almost 2.5 million barrels of export a day less than three years ago, Venezuela may today be moving to less than 900,000 barrels. And the genuine total may well be less – at this point reliable figures are becoming difficult to come by. The country’s economy is absolutely dependent upon oil proceeds. Yet that foundation has been crumbling as the political situation breaks apart. For the broader global market, there does remain alternative oil sources. But don’t count on U.S. producers picking up the international slack. While there is certainly ample excess supply available, additional U.S. port and infrastructure capacity remain limited. This morning, the oil market is taking a wait and see about the situation in Venezuela. No meaningful spike up has taken place. This is a complicated game we’re playing, and there are many possible outcomes. However, this is hardly the time for U.S. foreign policy that has not been considered seriously. This is not the time for commitment via tweet.